Daily Fantasy Cafe, Inc. (“DFC") is a review site that receives compensation from the companies whose websites and services we review. We are independently owned and the opinions expressed here are our own. DFC may also accept money from daily fantasy operators to be included in our Tools section and/or Top Rated chart in the sidebar and/or banners throughout the website. Some of the links on dailyfantasycafe.com are “affiliate links." This means if you click on the link and deposit money at a daily fantasy operator, Daily Fantasy Cafe, Inc. will receive an affiliate commission. Daily Fantasy Cafe recommend websites we believe will add value to our readers. Daily Fantasy Cafe Inc. is disclosing this in accordance with the Federal Trade Commission's 16 CFR, Part 255: “Guides Concerning the Use of Endorsements and Testimonials in Advertising." 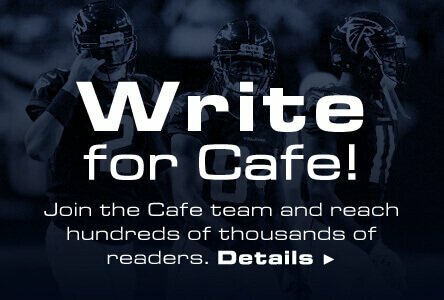 There are opinions, comments and links on dailyfantasycafe.com such as on our Forums and below articles and pages as well as user reviews on daily fantasy sites review pages that are not opinions held by DFC. Our users have the right to express their opinions and they may not be opinion help by or supported by DFC.